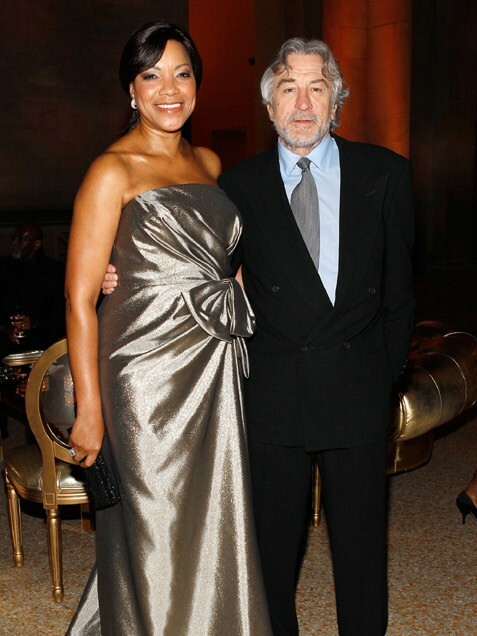 Like his films, the marriage between legendary actor Robert De Niro, 67, and Grace Hightower, 58, a former flight attendant and current philanthropist/socialite, has been filled with plenty of drama. The pair (photographed at a New York City gala on Sept. 26) married in 1997 -- De Niro gave her a whopping 10-carat ring -- had a baby in 1998, and filed for divorce in 1999. A nasty public battle ensued, with Hightower accusing the Taxi Driver actor of drug abuse, while De Niro accused her of breaking his rib aboard Marc Anthony’s yacht. Yet they managed to work things out, and even renewed their vows in 2004.